What does the law say about Fire Risk Assessments? The Regulatory Reform (Fire Safety) Order 2005 (FSO) came into force in October 2006 otherwise known as RRO2005. It applies only to England and Wales. In Scotland, the equivalent legislation is the Fire (Scotland) Act 2005, which also came into force in 2006. In Northern Ireland, the equivalent legislation is the Fire and Rescue Services (Northern Ireland) Order 2006, which came into force in November 2010. The three legislative regimes across the length and breadth of the UK each impose a duty to carry out a fire risk assessment (FRA). In England and Wales the duties are imposed on the Responsible Person, who, in a workplace, is the employer, but, in premises that are not a workplace, the reasonability will lie with the person(s) having control of the premises. The duty can also be imposed on other person(s) having control of the premises, such as managing agents. In Scotland and Northern Ireland, the term ‘responsible person’ is not used, but, again the duty will fall on the employer and/or certain other persons having control of the premises. The legislation does not specifically require that the fire risk assessment is carried out by a competent person. However, if as a result of a failure to properly carry out a fire risk assessment, an occupant of the building (or even someone in the immediate vicinity of the building) is put at risk of death or serious injury in case of fire, it means an offence has been committed, which can lead to a heavy fine or, in serious cases, imprisonment. All employers and self employed persons must assess the risks not only to workers, but also to anybody else who may be affected by their business. 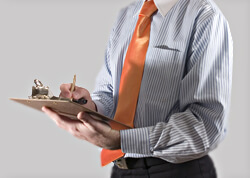 Employers with more than 4 employees must also record the important findings made from the assessments. What is a “risk assessment”? A risk assessment is simply nothing more than a close look at what in your workplace could cause harm to people and then deciding whether the precautions you are already taking are sufficient, or whether you could take further action to prevent harm. The aim is purely to ensure that no one gets hurt or becomes ill. If you find all of this too much it is recommended to obtain help from an outside the company. Have no fear FFM Services carry out these risk assessments regularly. Just pick up the phone or drop us an email.